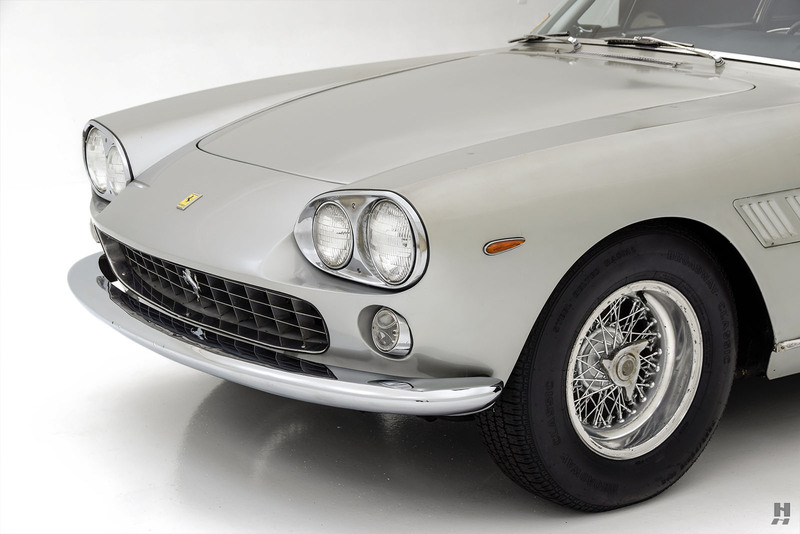 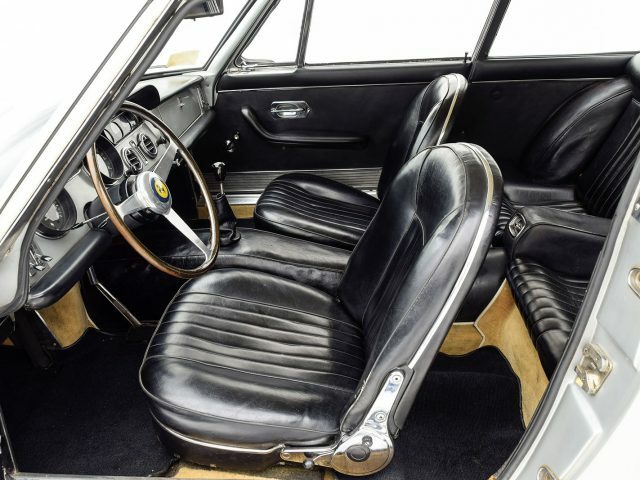 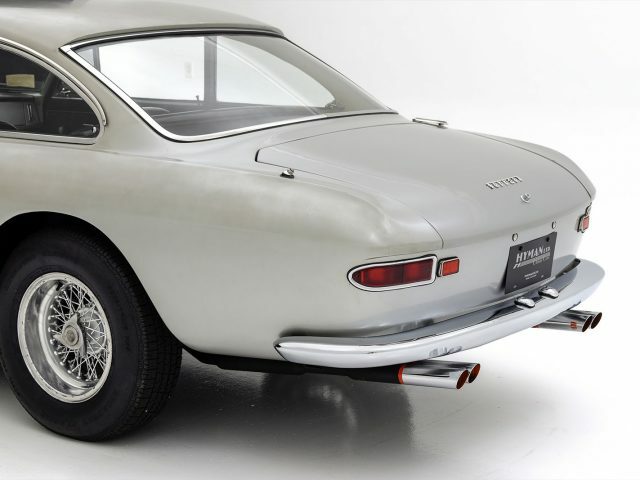 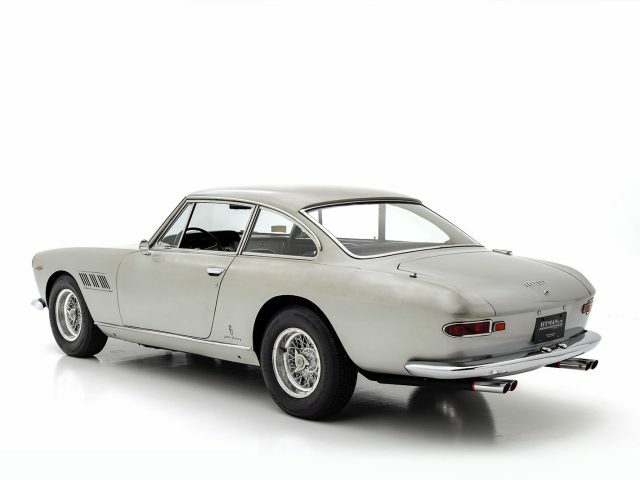 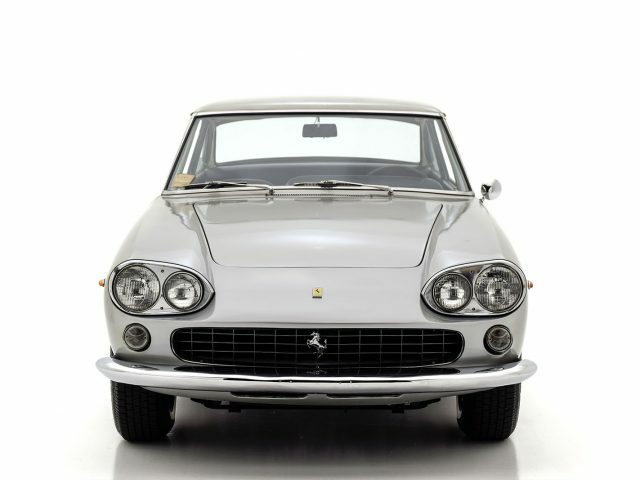 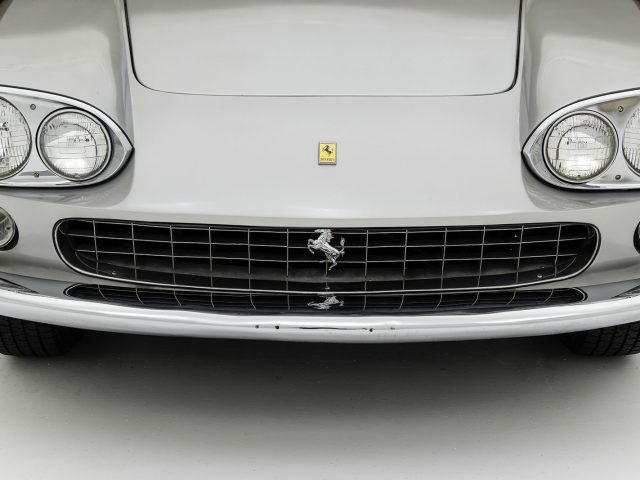 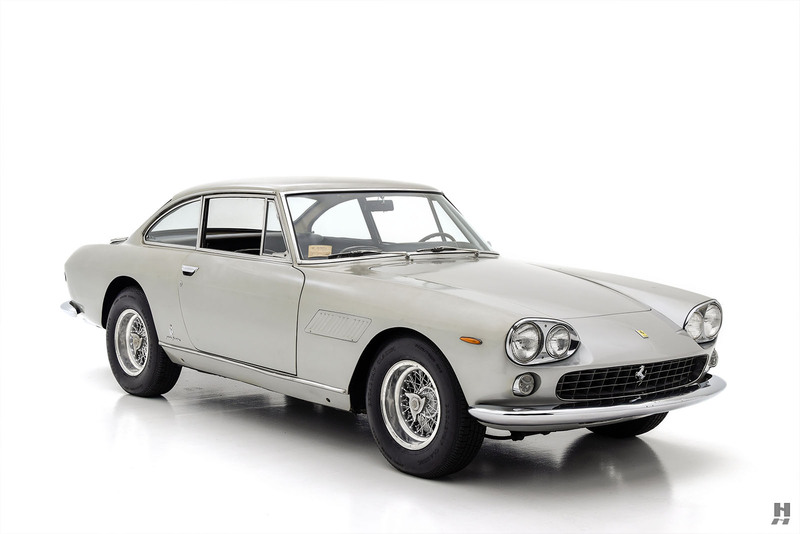 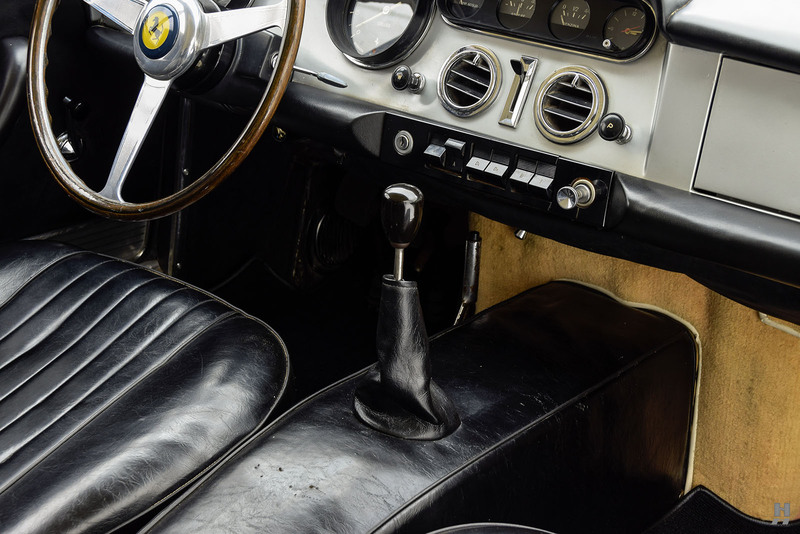 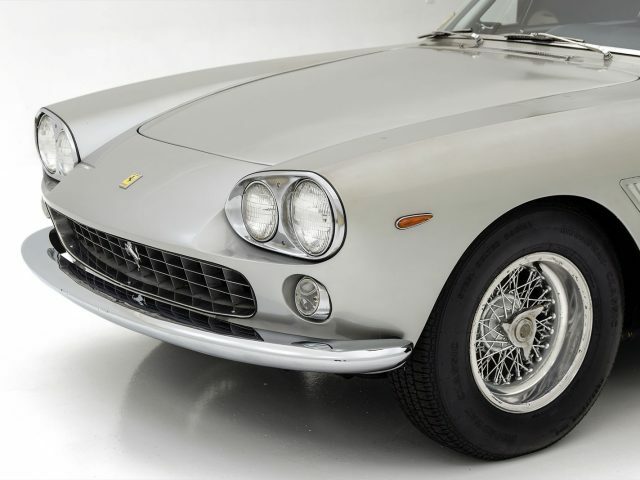 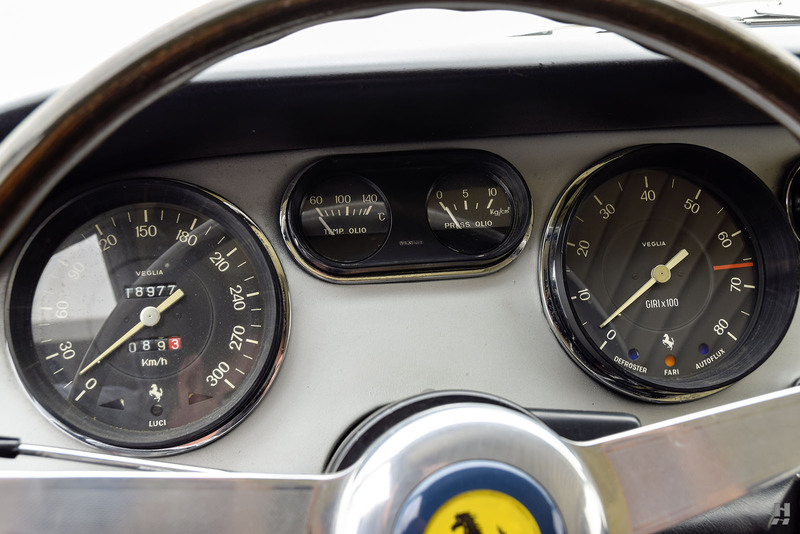 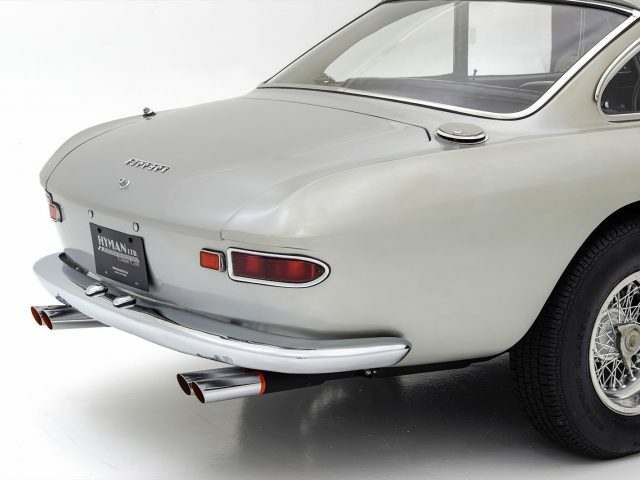 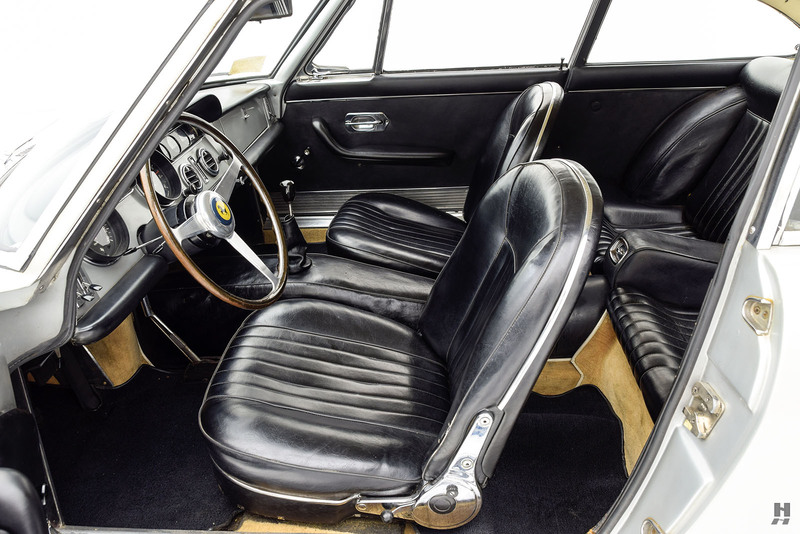 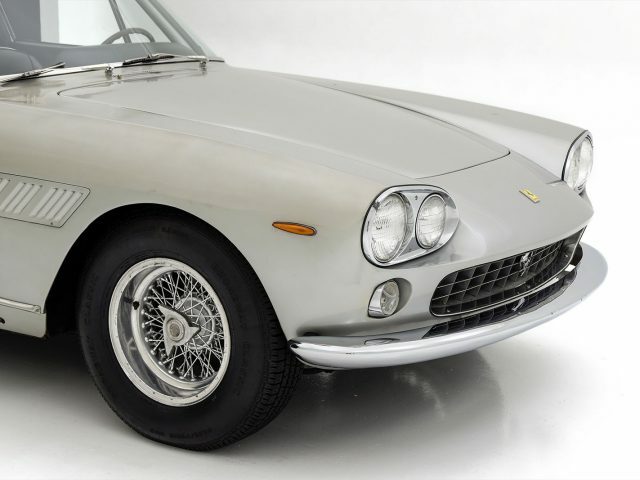 Ferrari’s handsome and understated four-seat 250 GTE has only recently caught the attention and respect of collectors, despite it quietly being one of the most important cars in Ferrari’s history. 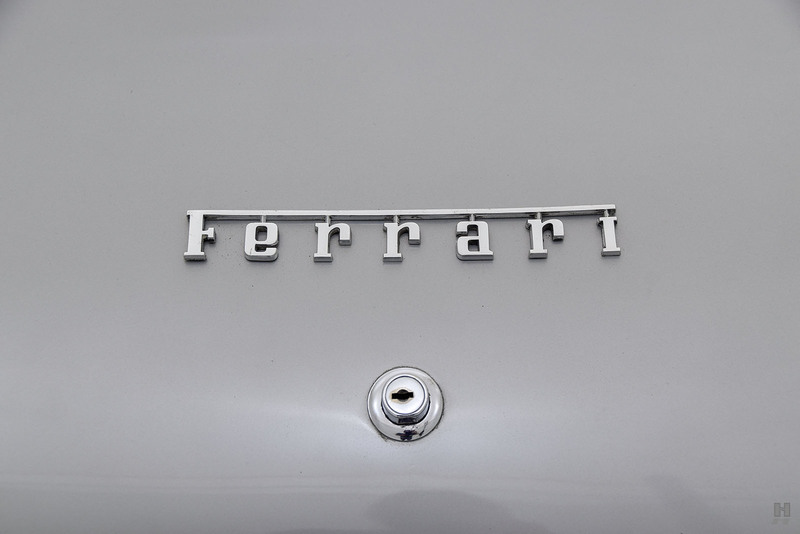 Not only was it one of Maranello’s first commercially successful products, but it also marked the turning point for the company from boutique manufacturer to a full-fledged road car company. 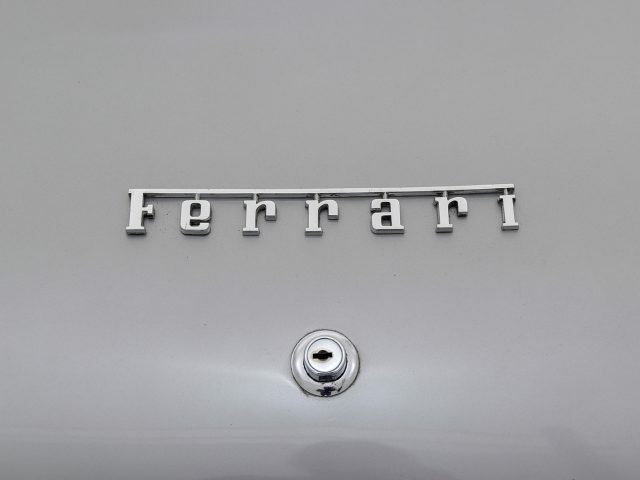 Prior to the GTE, most of Ferrari’s road cars were thinly disguised racing cars, built primarily to fund the competition department. 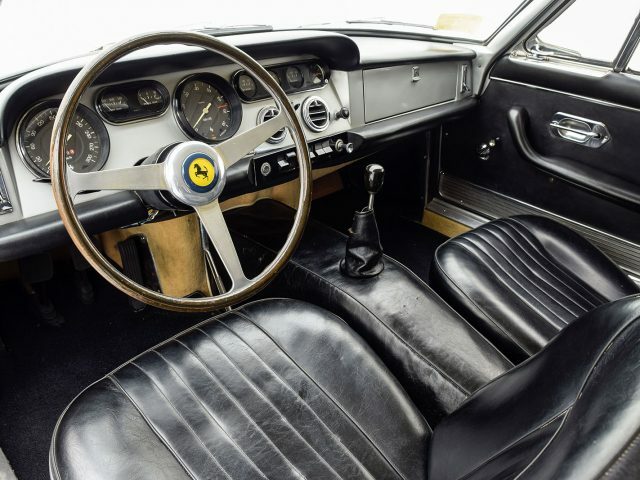 However, the GTE proved to the world that there was sufficient demand for a luxurious, refined Grand Touring car with room for four and that Ferrari could deliver a spectacular product. 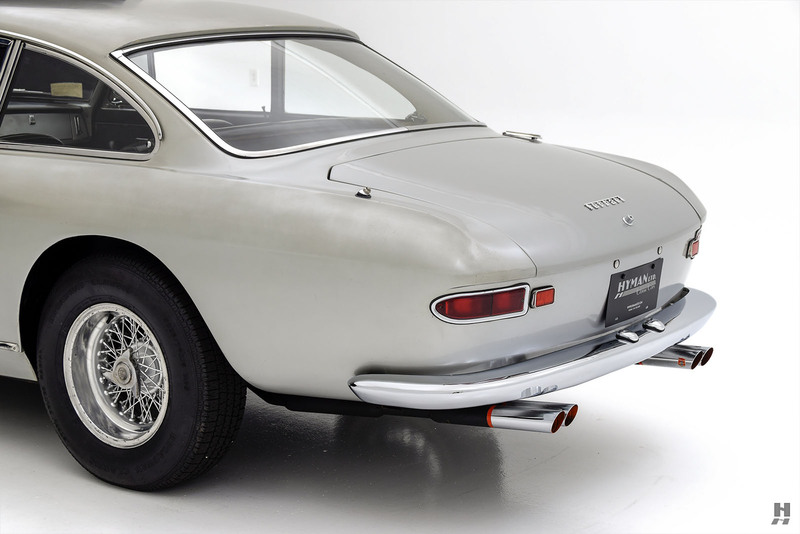 Over 950 examples of the 250 GTE were built between 1960 and 1963. 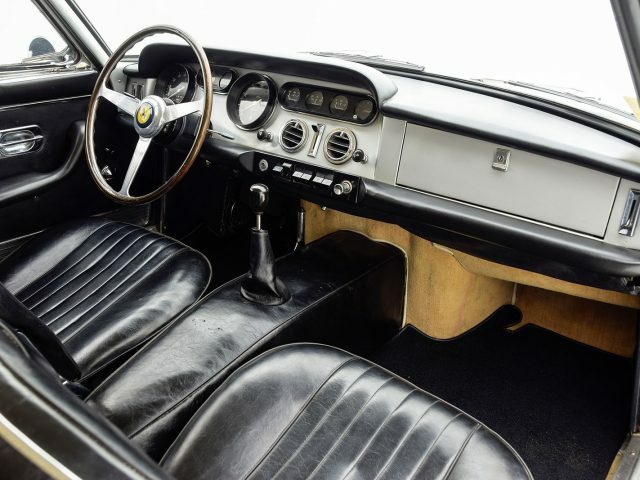 Ferrari’s line of 2+2 “gentleman’s express” GT cars have long been a vital part to the company’s success, and the spirit of these 1960s models is carried through today’s front-engine four-seat supercars. 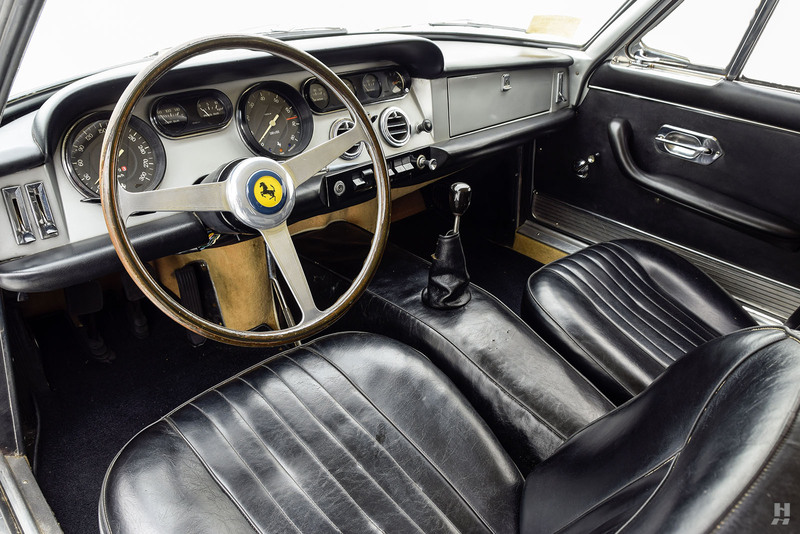 Building on the momentum of the GTE, Ferrari’s road car range expanded and was refined into the mid-1960s. 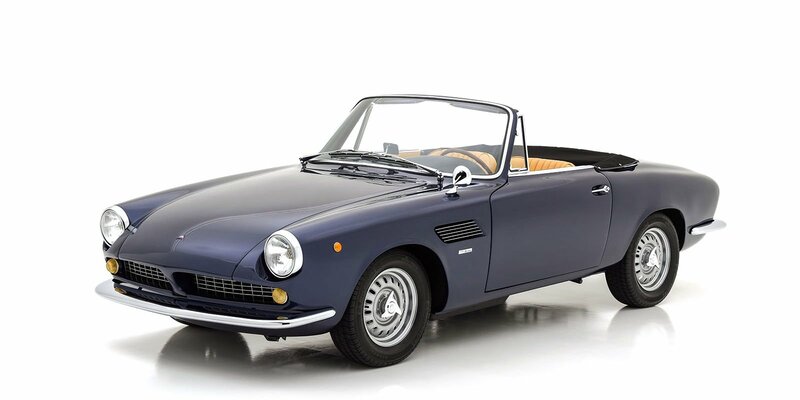 The legendary 250 series had reached the end of development, and a new series was due to replace it. 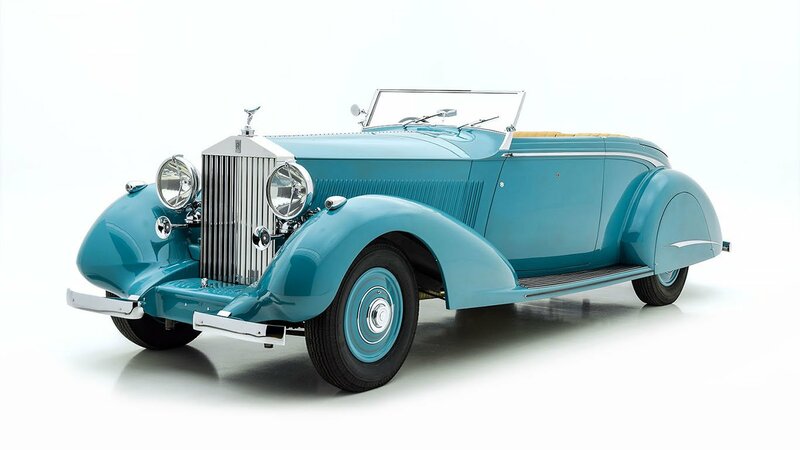 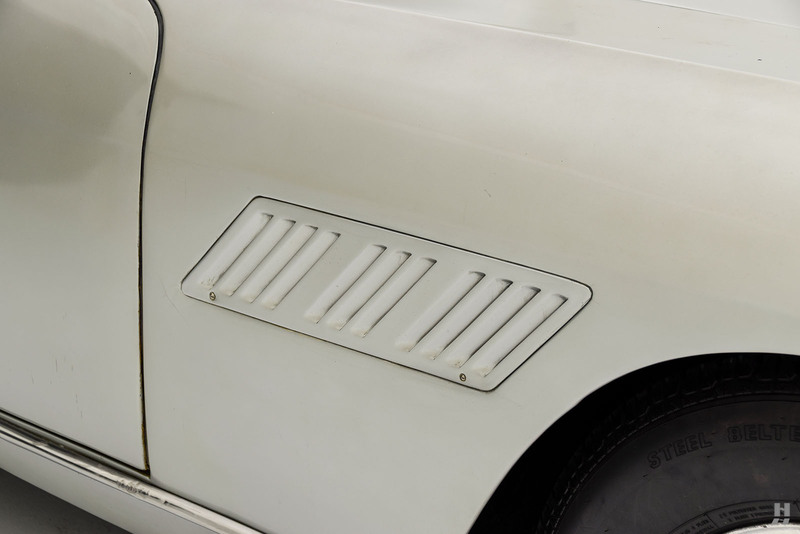 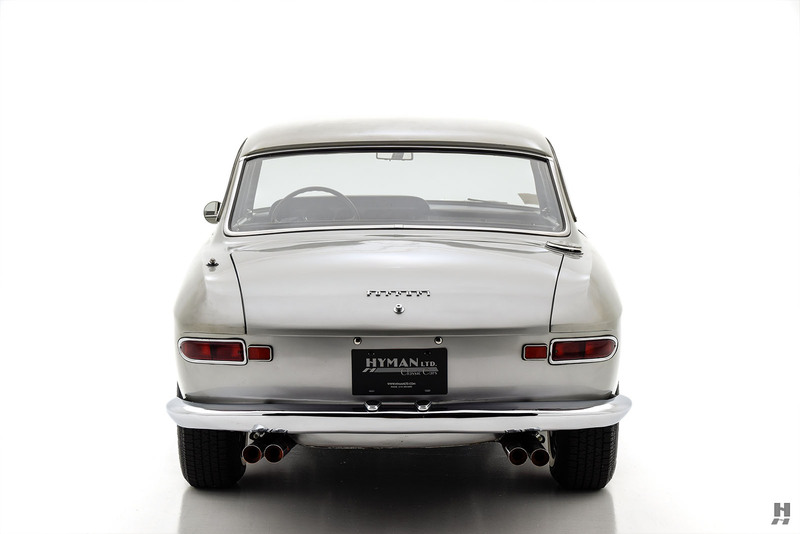 One of the first models to wear the new "330" badge (along with its 4-liter engine) was the 330 America. 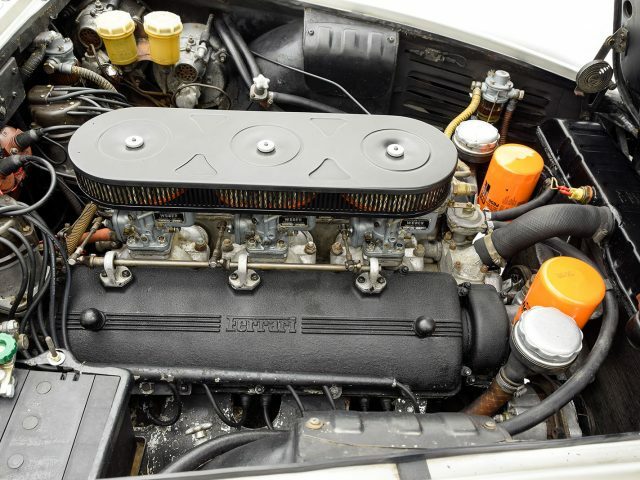 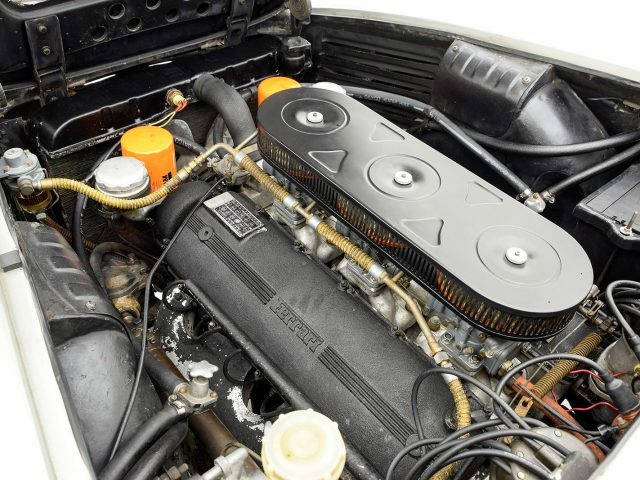 The 330 America was little more than a modified GTE with the new four-liter V12 that served as an interim model until an all-new replacement debuted. 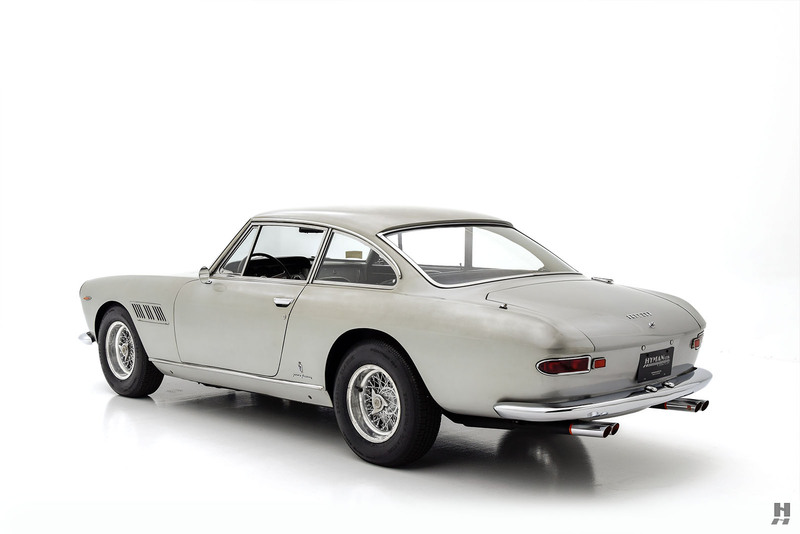 In January of 1964, the new 330 GT 2+2 was unveiled at the Brussels show. 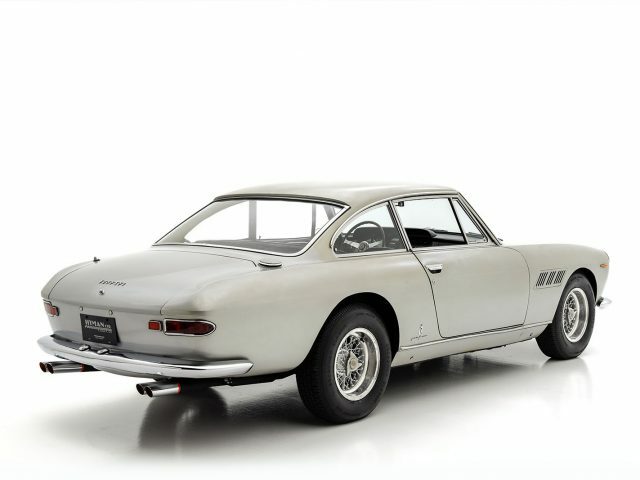 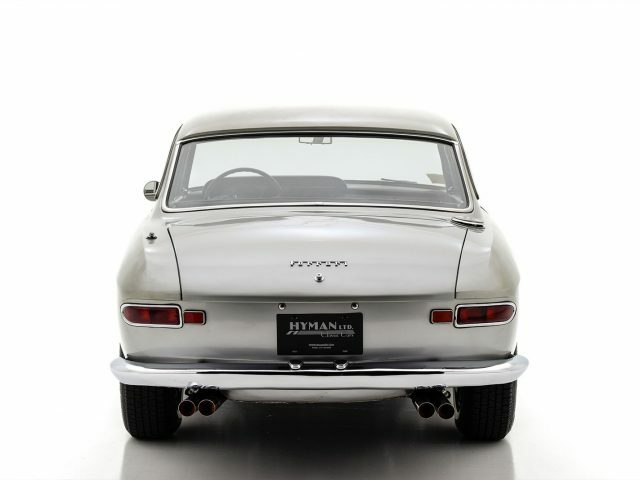 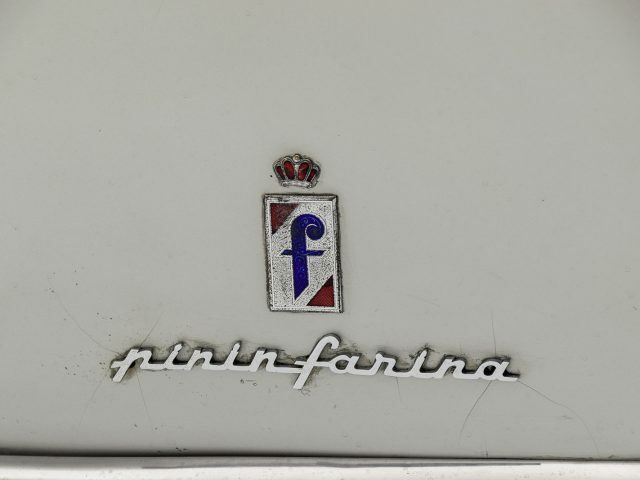 Aside from the larger 4-liter engine, the 330 GT was larger and featured crisp modern styling penned by Tom Tjaarda for Pininfarina. 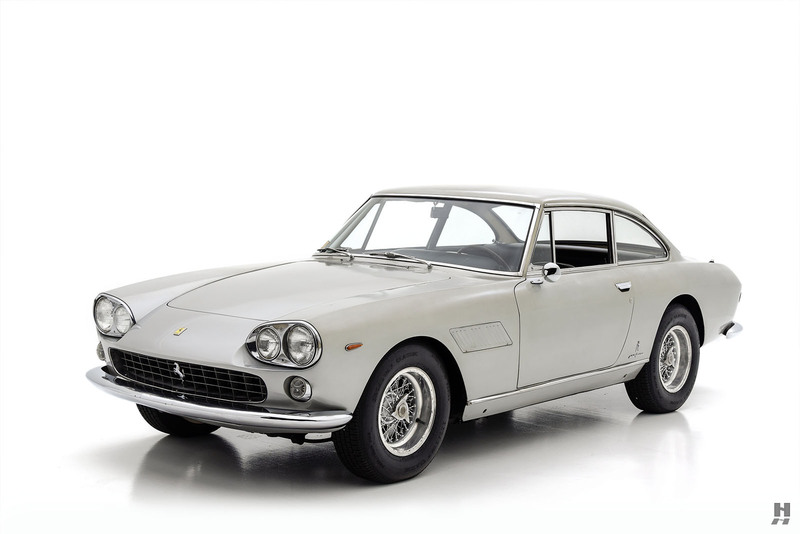 Like the GTE before it, the 330 GT 2+2 was understated, sophisticated, and elegant. 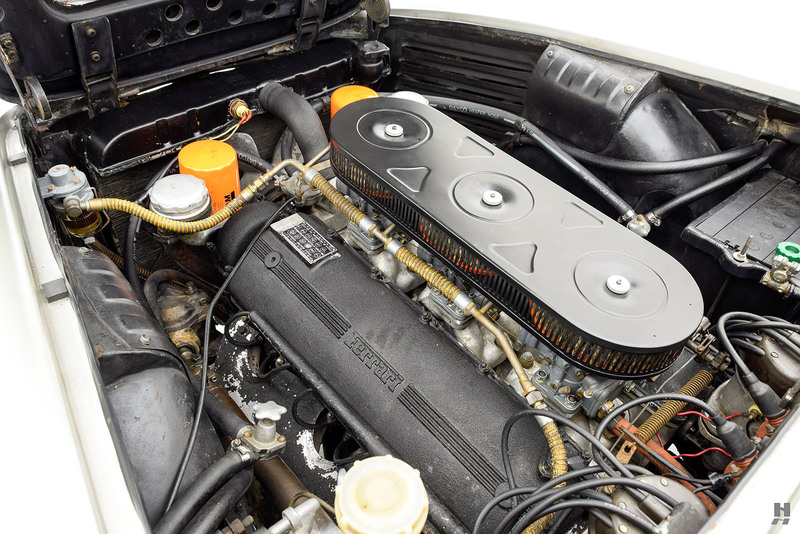 The powerful new engine was mated to a four-speed gearbox with overdrive, and the chassis featured disc brakes and Koni adjustable dampers at all four corners. 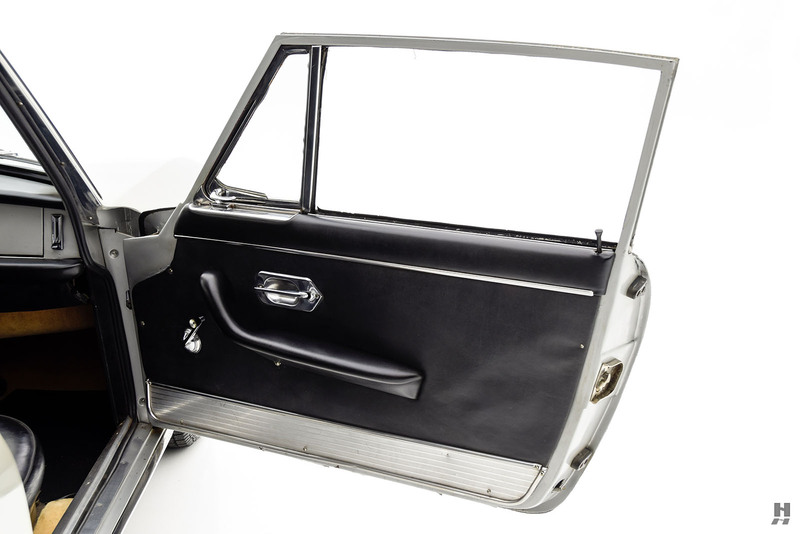 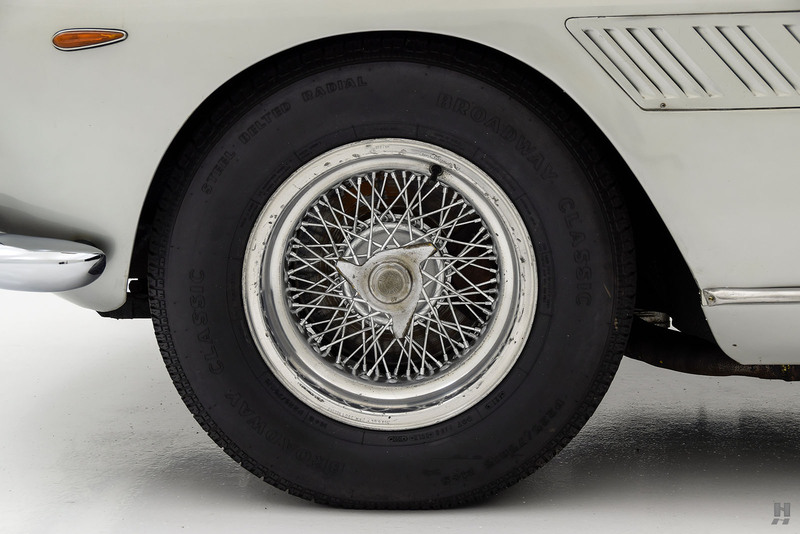 Later in production, the Series II was introduced with some mechanical changes and simplified styling that seemed to lose some of the charm of the original four-headlight Series I. 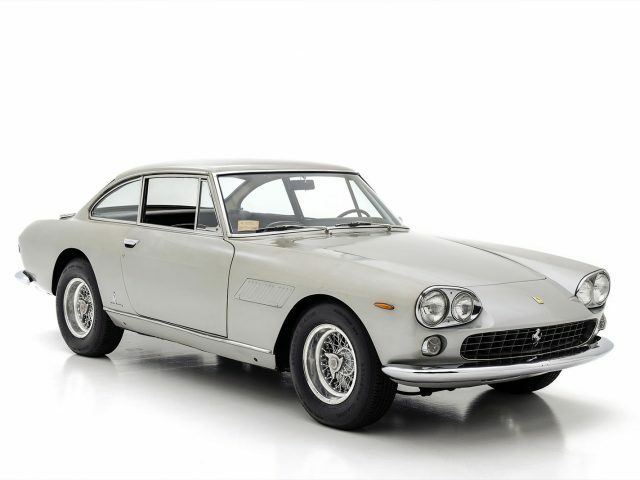 The Ferrari 330 GT 2+2 offered is a desirable, first series, European-delivery example that has been enjoyed and maintained by a series of passionate owners. 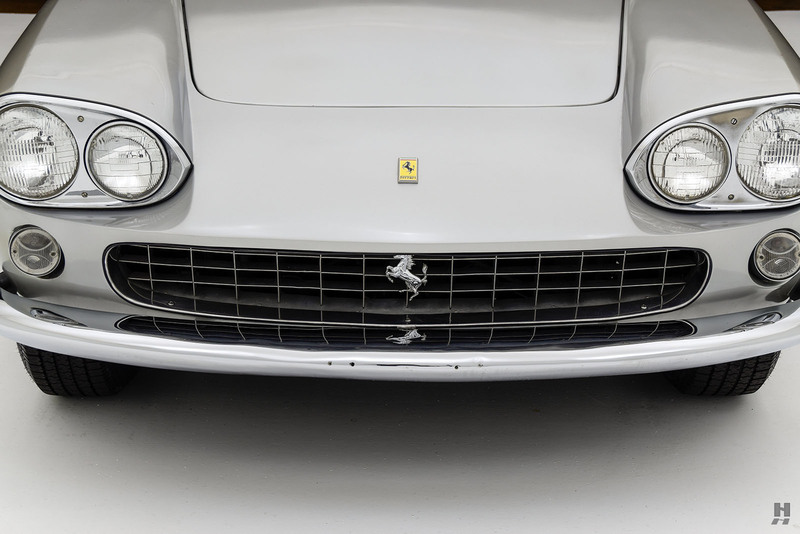 Chassis number 5555, this car was delivered new to official dealer Gustavo Lombardi in Naples, Italy. 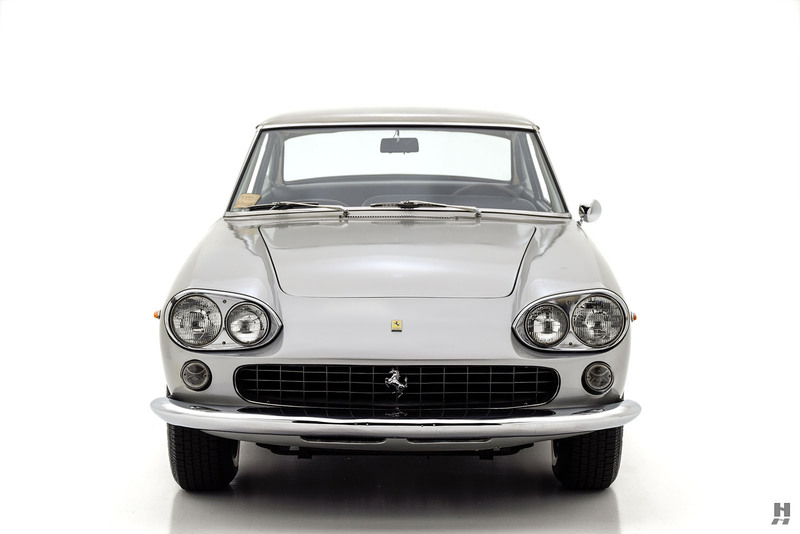 The first known owner was Mr. Corciello, also of Naples. 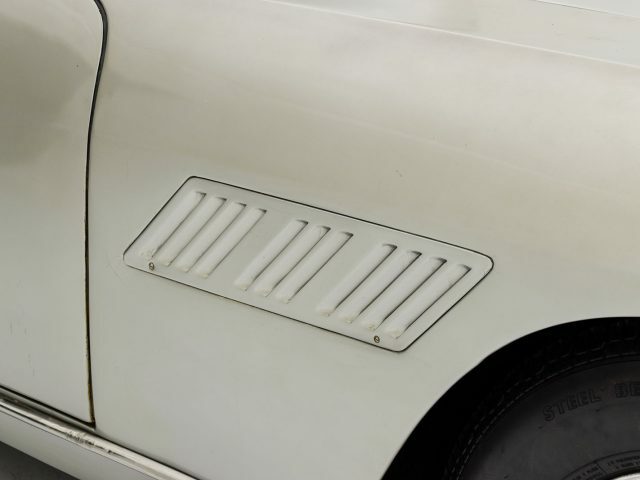 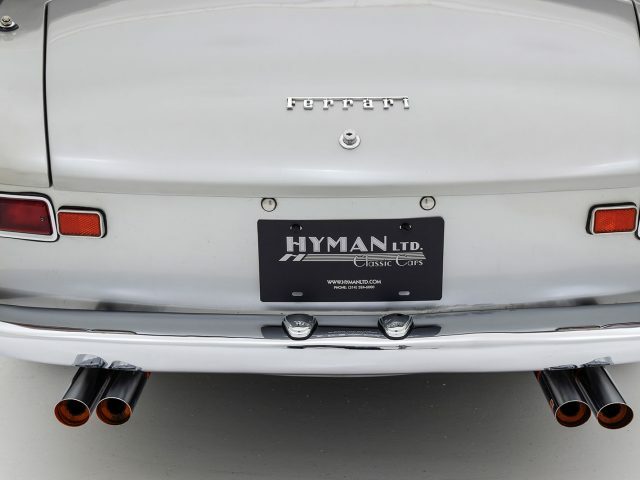 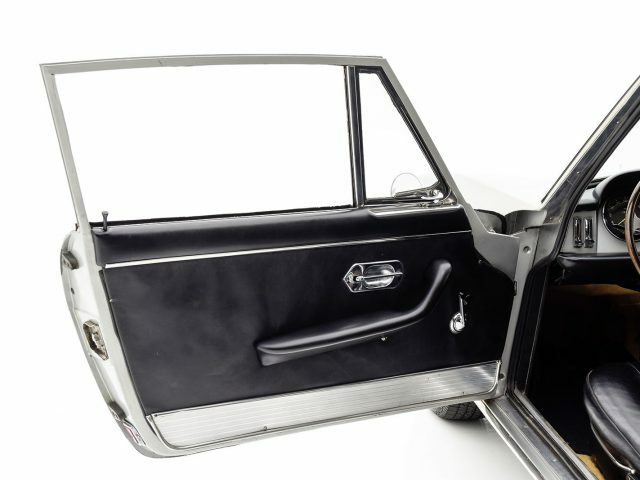 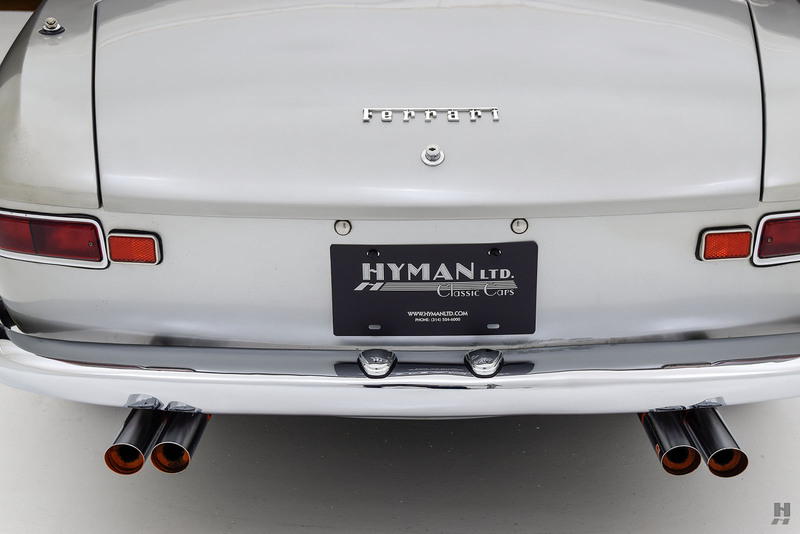 It is believed the car was imported to the United States in approximately 1969 by Bill Tilden of Atlanta, Georgia, the car’s second owner, and a classic car enthusiast. 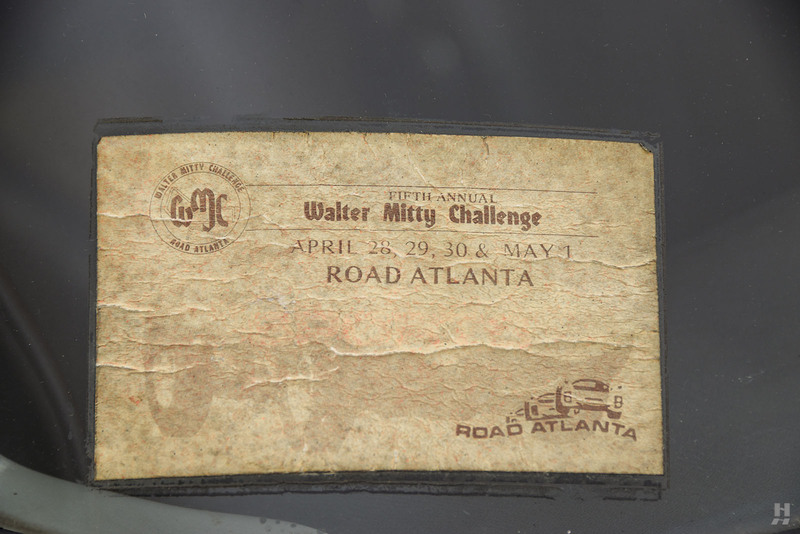 Mr. Tilden used the Ferrari in the 1981 Walter Mitty Challenge at Road Atlanta, and the 330 still wears a faded windshield sticker from that day. 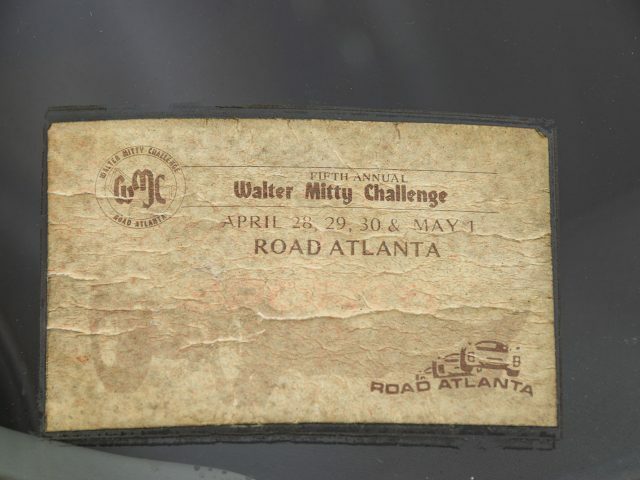 “The Mitty” was founded in 1977 as a casual get-together for sports car enthusiasts looking to exercise their cars on a track, and it remains one of the most beloved vintage racing events in the country. 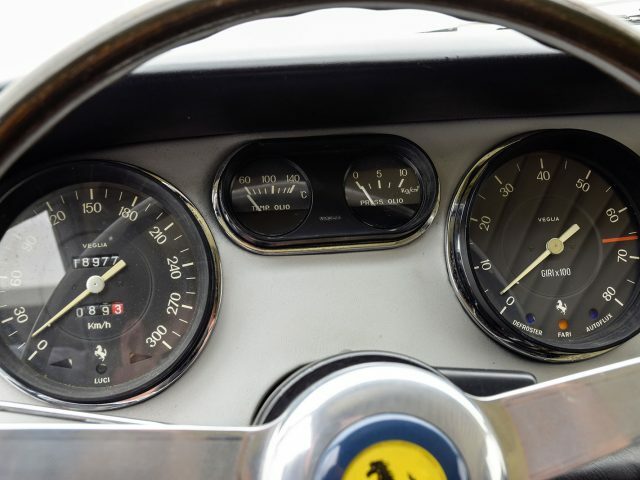 The Ferrari was eventually put in storage, and in approximately 2004, it was treated to a thorough mechanical freshening. 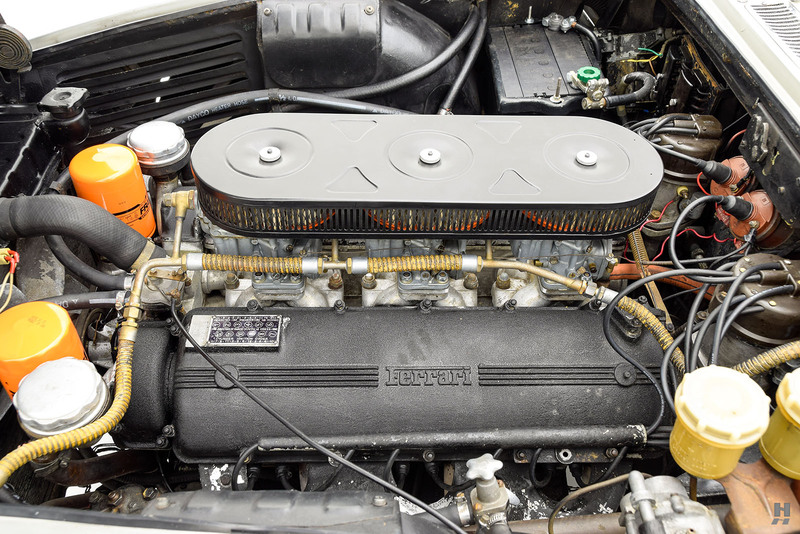 Receipts show the fuel system was cleaned, the original Weber 40 DCZ6 carburetors were rebuilt, and the exhaust replaced with a factory correct ANSA system. 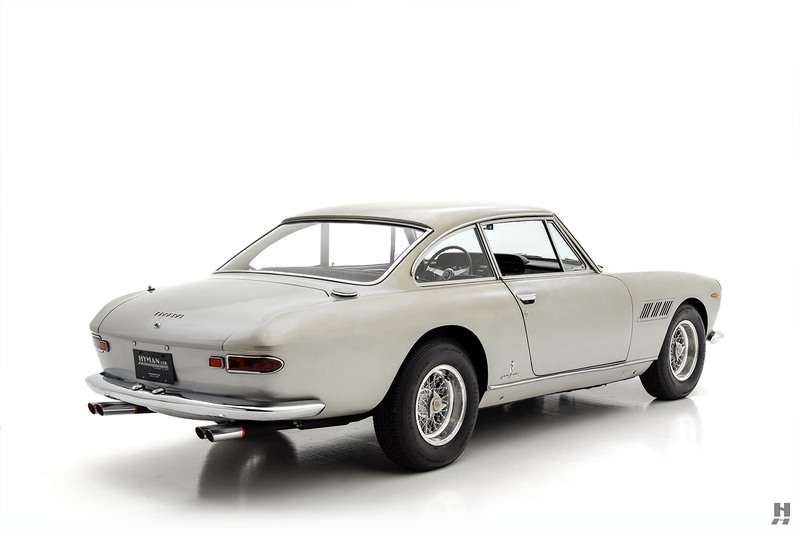 In 2006, the 330 GT sold to its third and latest owner who continued to care for it, performing a brake system overhaul in more recent years. 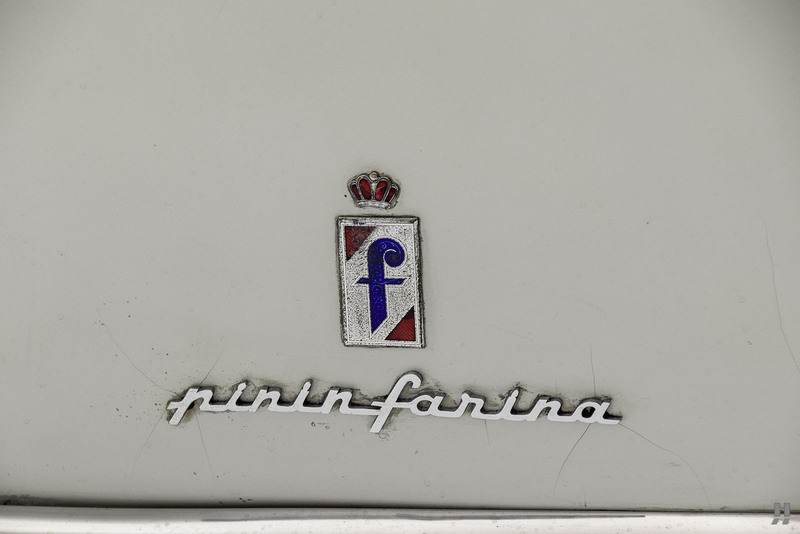 Today, S/N 5555 presents with a charming, careworn patina, having never been fully disassembled for restoration. 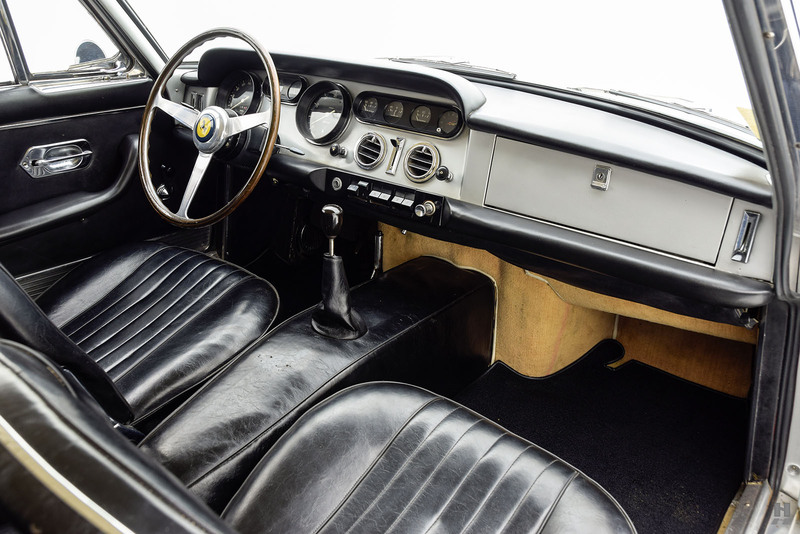 Early in the car's life, it was painted argento metallizzato which shows some cracks and fading, yet it remains appealing and quite inviting. 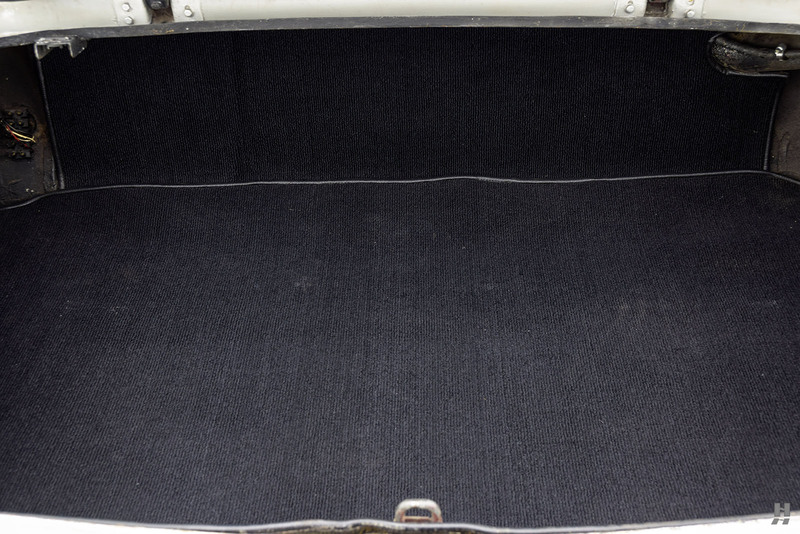 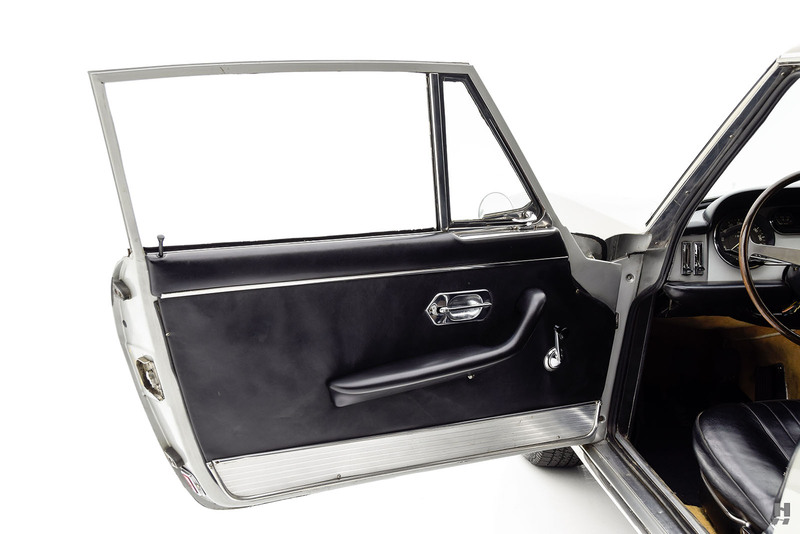 The body remains in excellent order with no serious corrosion visible, with good panel gaps and crisp lines. 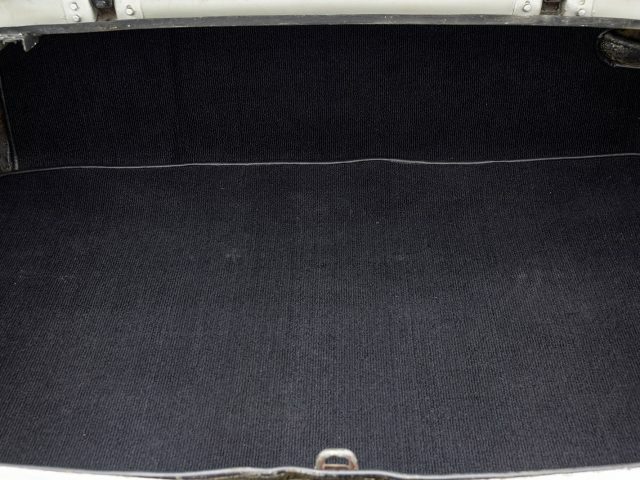 Original brightwork remains tidy and in good order- with some minor pitting and hazing evident. 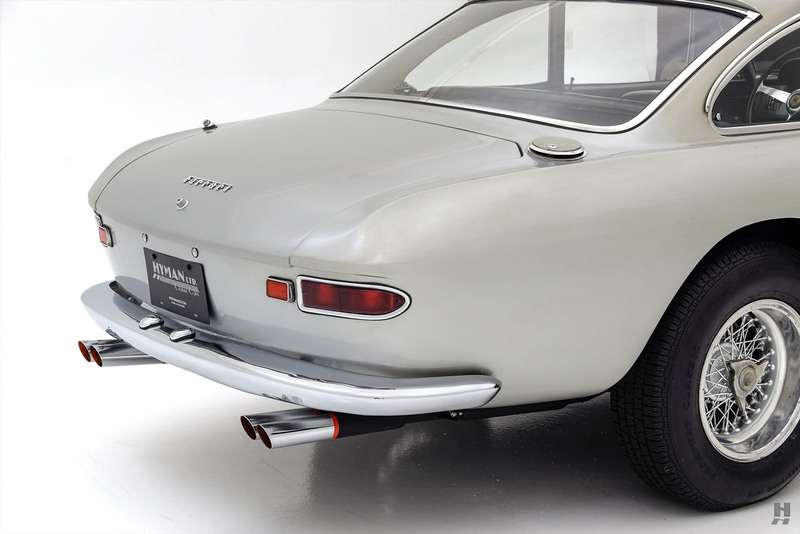 The bumpers have been replated more recently and are in excellent condition. 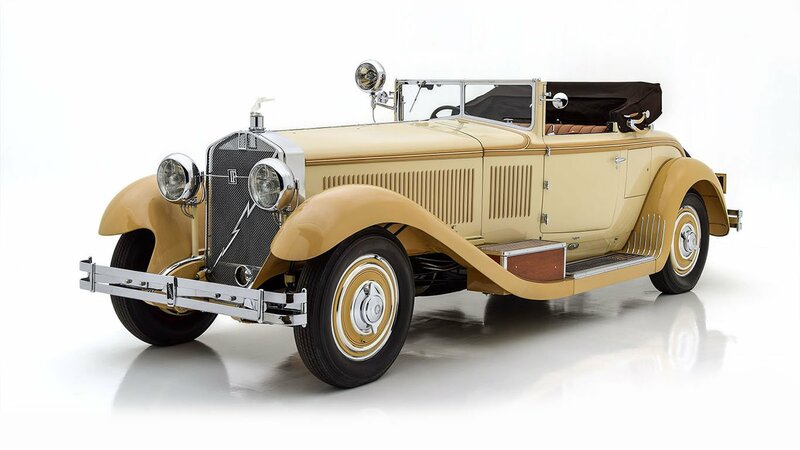 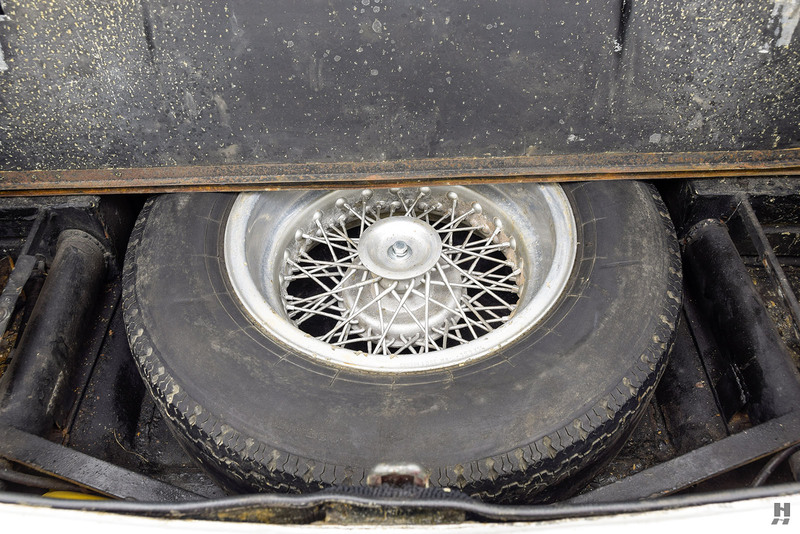 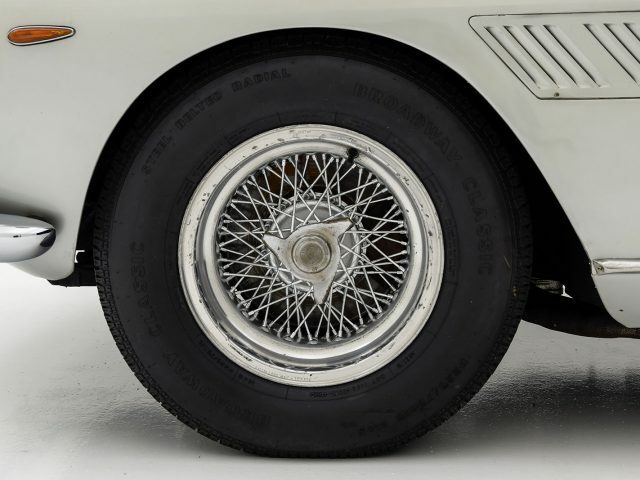 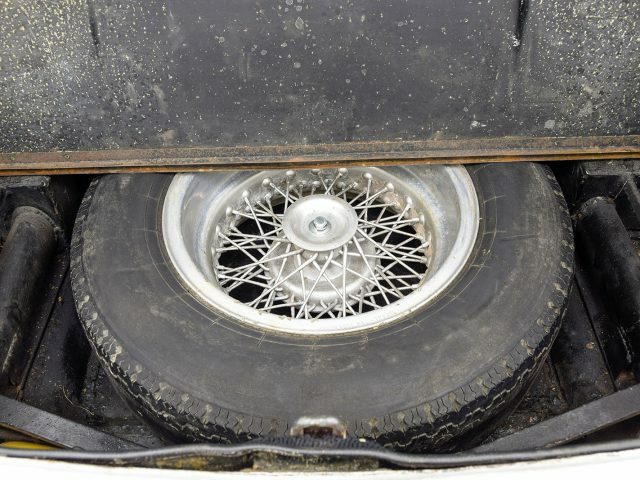 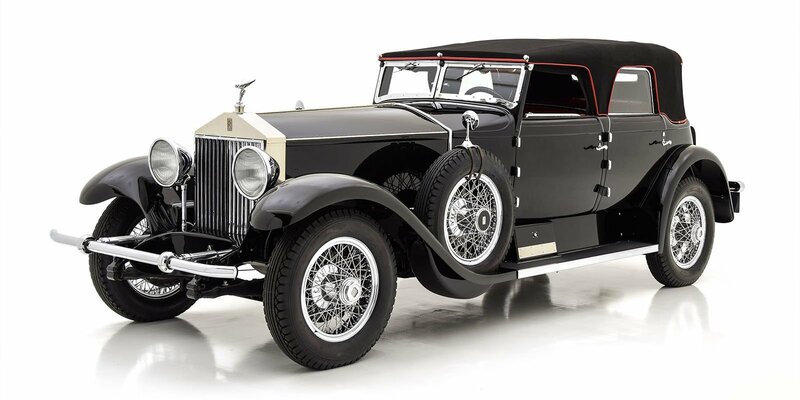 The car rides on original Borrani wire wheels, and the sale will include a spare set of rare, period original Italian-made Firestone Cavallino tires. 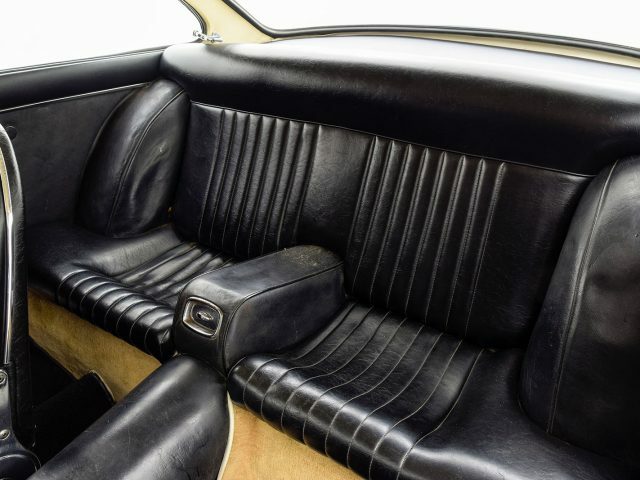 Inside the spacious 2+2 cabin, the dash, headlining and some interior panels remain original while the seats and carpets were replaced some time ago. 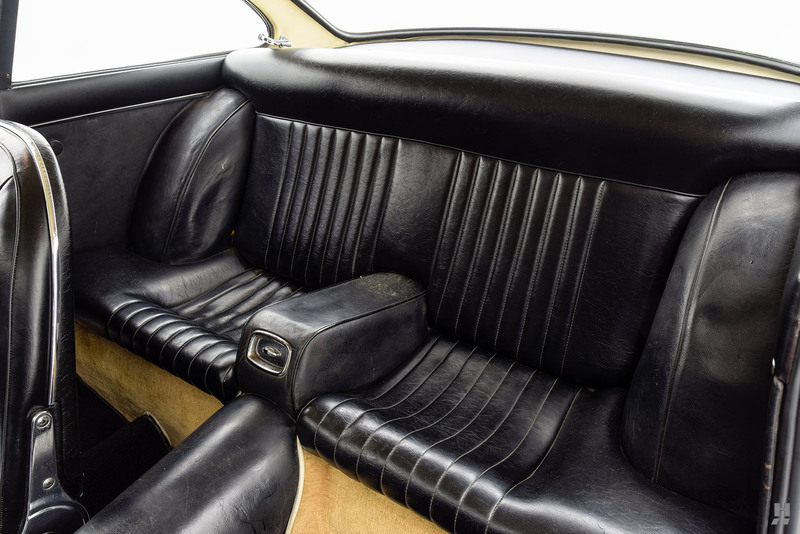 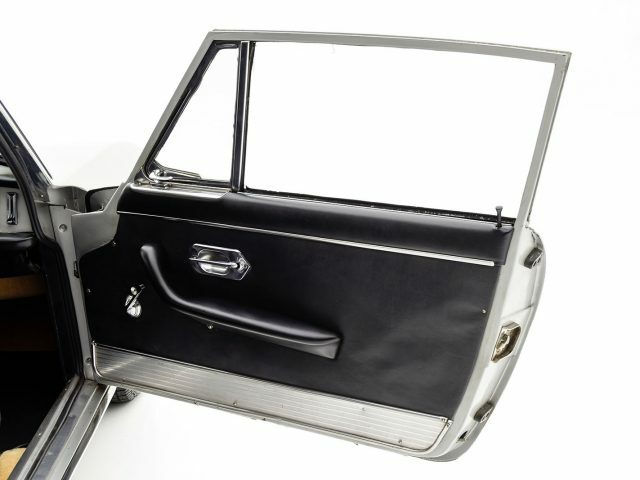 For the Mitty, the original center console was swapped out, but it is included in the sale and remains in excellent condition. 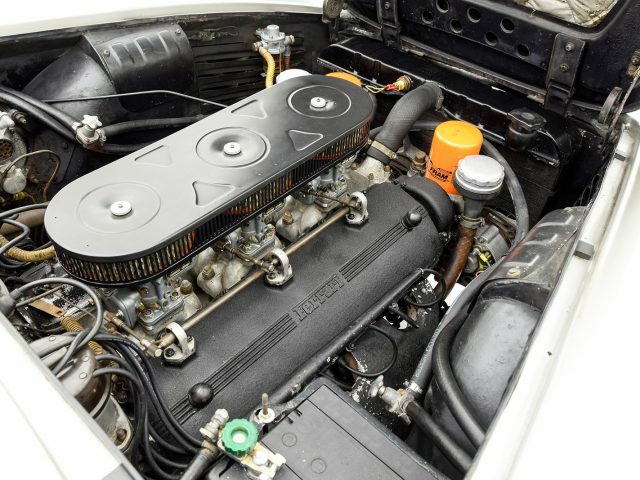 Importantly, S/N 5555 retains its original, matching numbers engine, which is mated to a four-speed manual gearbox with overdrive as equipped by the factory. 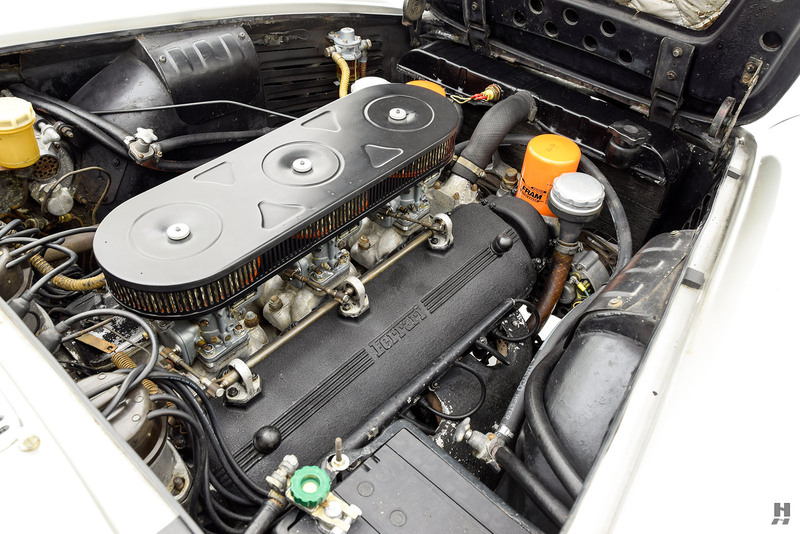 The engine appears appropriately detailed considering this is a mostly unmolested and highly original example. 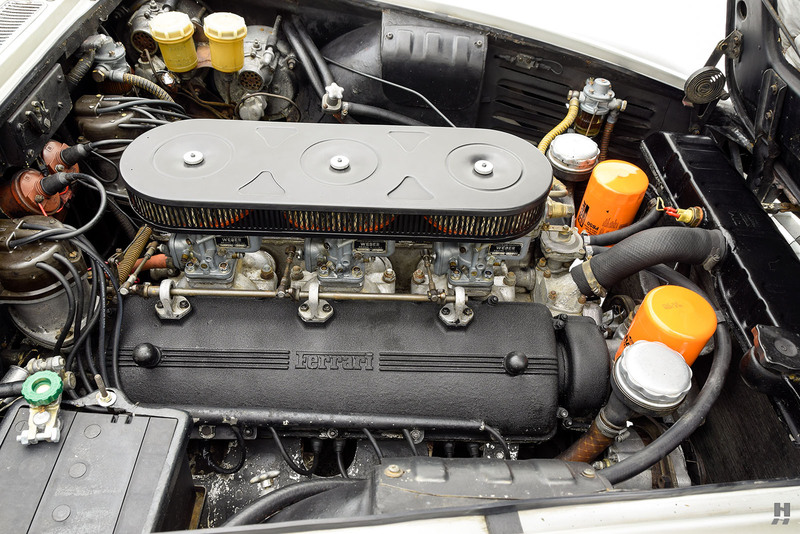 The factory exhaust manifold shields remain in place, as does much of the correct yellow and brown fuel and oil hose. 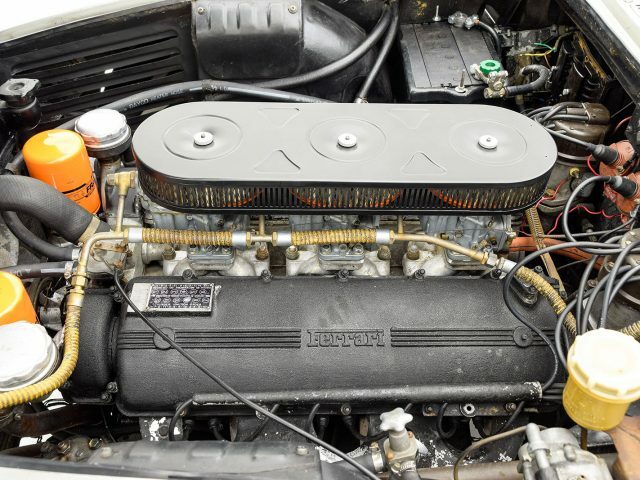 A trio of proper Weber 40 DCZ 6 carburetors is in good order, topped with the original air cleaner housing. 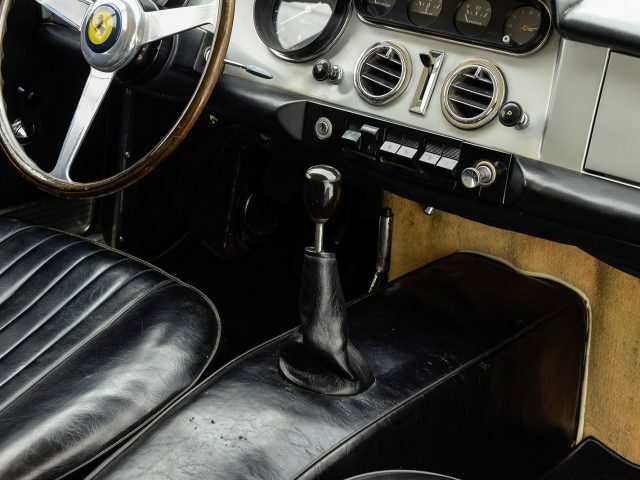 Refined, sophisticated and a marvelous high-speed cruiser, the 330 GT 2+2 was one of the best GT cars if the era, standing as one of the finest of its kind against vehicles like the Aston Martin DB5/6 and Maserati Mexico. 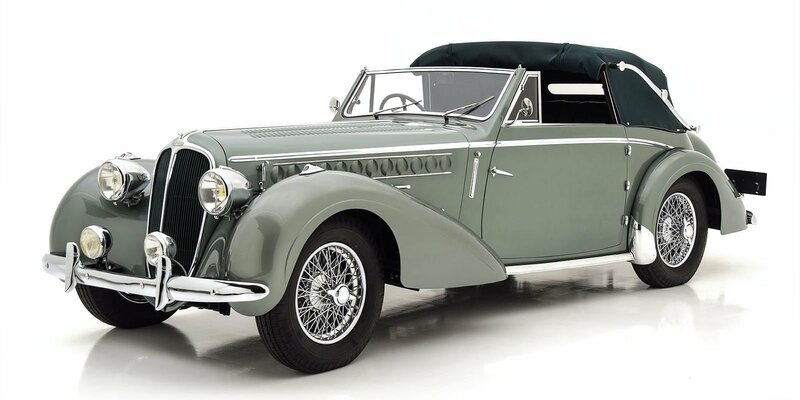 This charming example has been well maintained, with a warm patina. 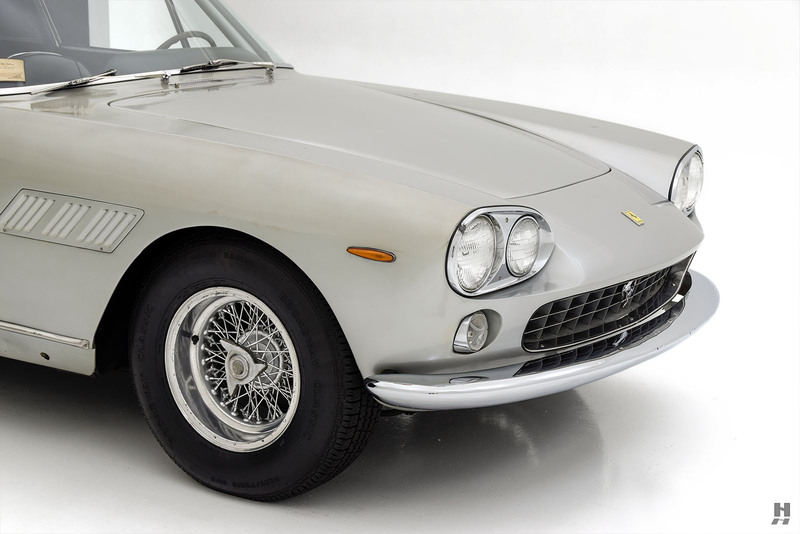 The desirable matching-numbers drivetrain and inviting character make it a fabulous choice for Ferrari Club driving events, rallies, and tours.